Maserati is recalling select 2014-20115 Quattroporte and Ghibli vehicles. There may be damage in the fuel line that may cause a leak and an increased risk of fire. Volkswagen is recalling select 2018-2019 Volkswagen Atlas and Tiguan and 2019 Jetta Vehicles without keyless entry. There may not be an alert sound when the key is left in the vehicle. RAM is recalling select 2019 Ram 1500 trucks. The seat track sensor may be out of position. 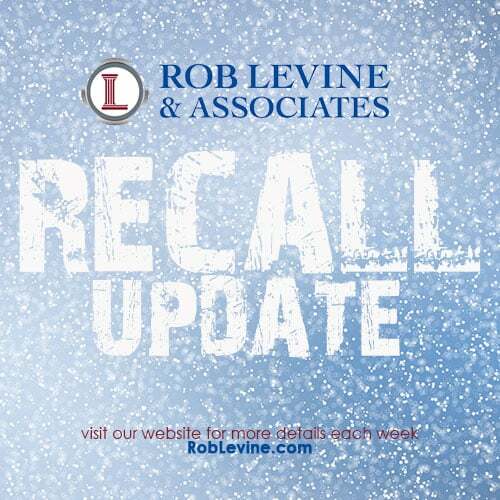 Audi is recalling select 2007-2012 Q7 and 2009-2012 Q5 vehicles. Butyl tape may not prevent fuel from leaking increasing the risk of fire. Honda is recalling select 2017-2018 Civic Hatchback and Civic Type R vehicles. The owner’s guide may not have been included in the vehicle. Ford is recalling select 2018 Lincoln Navigator and Ford Expedition vehicles. The rear seats may be missing reinforcement brackets increasing the risk of injury during a crash.